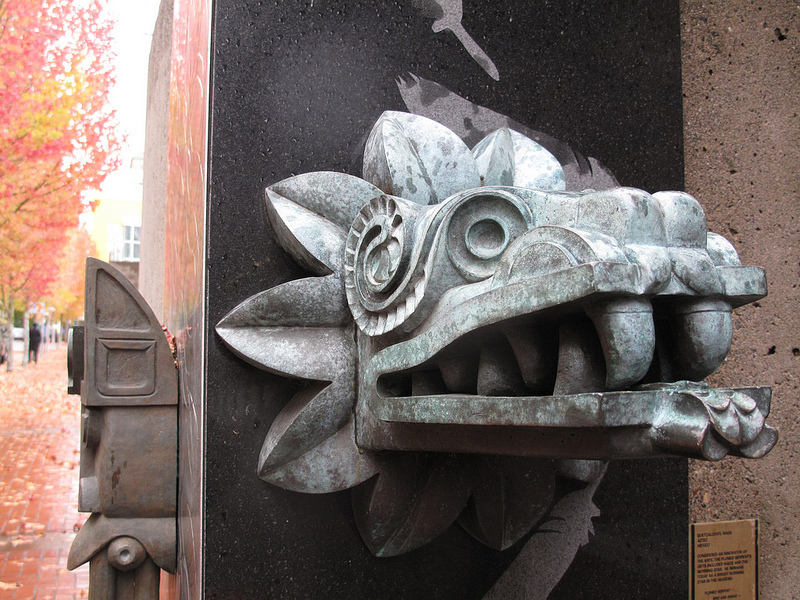 This Quetzalcoatl Mask in Tacoma’s Theater District (on Broadway between South 11th and South 13th) is a bronze, stainless steel and granite sculpture that represents an Aztec God (‘the feathered serpent or the rain god Tlaloc). There is another sculpture on the other side of the post. The artist is Doug Granum (http://www.douglasgranum.com/). He was also the sculptor for the Locomotive Monument, also downtown. 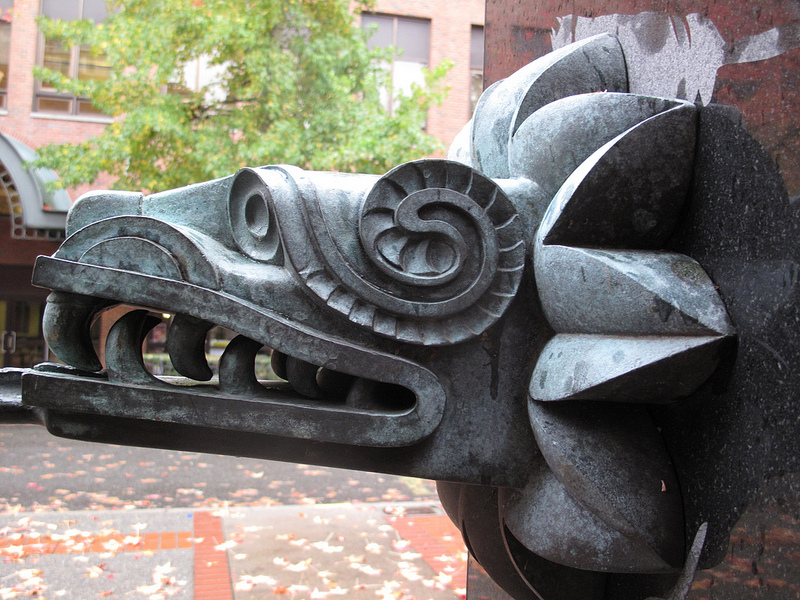 This entry was posted in Art -- there is art here!, Tacoma, WA State - Pierce County and tagged Aztec, Broadway, Doug Granum, feathered serpent, God, Mask, Quetzalcoatl, rain god, sculptor, sculpture, Tacoma, Theater District, Tlaloc on November 18, 2012 by admin.